Beautiful mountain home with gorgeous long range mountain views! Featuring an open floor plan with lots of glass to enjoy those views! The lovely kitchen with engineered flooring and stainless steel appliances opens to the living room with vaulted ceilings and a handsome rock fireplace. You will love the sun room off the kitchen which leads out to a huge private deck with hot tub. Ideal for relaxing with friends and family on those beautiful Colorado summer days. The lower level family room with wood burning stove is the perfect place to just hang out. 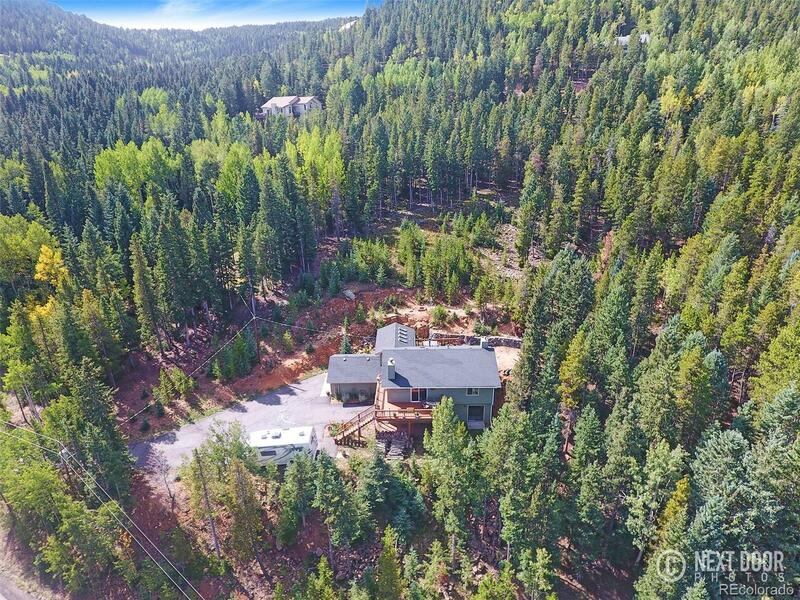 This 2 acre lot has a beautiful mixture of trees to include Aspens. Big 3 car heated garage with an extra area for a work shop. Conifer Mountain is a very nice area with paved roads. Conifer Mountains offers a good separation of homes to afford privacy. This home shows very well.